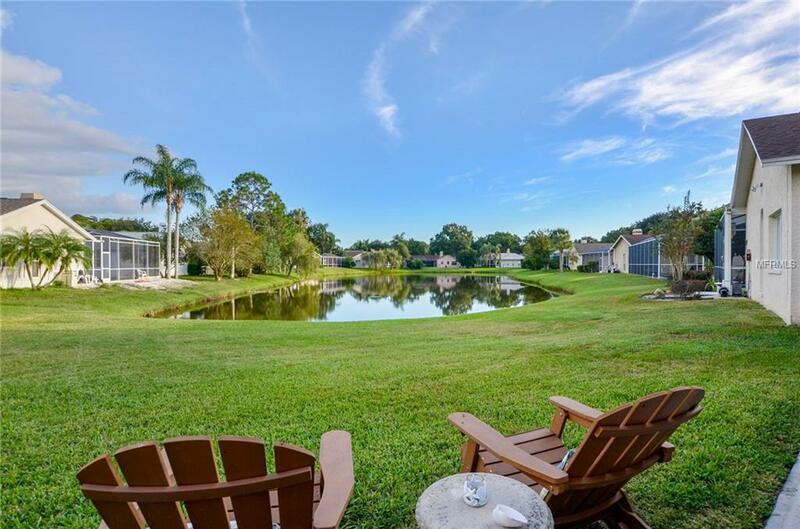 GORGEOUS Beautiful Pond View from this Fabulous 4 Bedroom, 3 Bath, 3 Car Garage Home with NEW CARRIBEAN BLUE PEBBLE TEC POOL FINISH. This home HAS ALL THE RIGHT STUFF. ROOF 2014, NEWER WATER HEATER, 15 SEER 2009 AC, NEW POOL PUMP, RECENTLY PAINTED, NEW STAINLESS STEAL REFRIGERATOR & MICROWAVE, NEW GARBAGE DISPOSAL, NEW CARPET, NEW LAMINATE FLOORING, NEW LIGHTING. This split plan home features CROWN MOLDING in all the MAIN living areas. Granite Countertops in the kitchen with STAINLESS STEAL APPLIANCES, WOOD BURNING FIREPLACE, POOL BATH, SLIDERS that open to Pool Deck from all main living areas. GORGEOUS pool with SPILLOVER WATERFALL. All overlooking this SPECTACULAR POND. Plenty of Yard space behind as well. PRICED TO SELL!!! THIS HOME WON'T LAST LONG. CALL TODAY TO SEE IT. This home is NOT IN A FLOOD ZONE. Additional Parcels Yn No Association Amenities PlaygroundTennis Court(S) Association Approval Required Yn No Association Fee 58.00 Association Fee Frequency Monthly Association Fee Requirement Required Available For Lease Yn Yes Cdd Yn No Community Features Deed RestrictionsGated CommunityPlaygroundTennis Courts Disclosures Seller Property Disclosure Dpryn Yes Flood Zone Code X Garage Yn Yes Homestead Yn Yes Listing Terms CashConventionalFhaVa Loan Minimum Lease No Minimum Monthly Hoa Amount 58.00 Montly Maint Amt Addition To Hoa 30 New Construction Yn No Pets Allowed Yes Property Condition Completed Property Sub Type Single Family Residence Realtor Info Brochure AvailableSurvey Available Security Features Gated CommunitySmoke Detector(S) Senior Community Yn No Special Listing Conditions None Tax Annual Amount 5341 Tax Year 2018 Utilities Bb/Hs Internet AvailableCable ConnectedPublicSprinkler Meter Yrs Of Owner Prior To Leasing Re No Zoning Rpd-2.5_1.